Amazon has released its annual listing of its bestselling books via its retail websites naming Walter Isaacson’s ‘Steve Jobs’, a biography of the late Apple c0-founder as one of its top titles on 2011. Isaacson’s book was originally set to launch on November 21 but Jobs’ health issues and subsequent death saw the publication date moved forward to October 23, with preorders for the book jumping 41,800% on the day that he died. According to Nielsen, the Steve Jobs biography written by Walter Isaacson sold over 379,000 copies in its first week in the US alone and at the time was already the 18th bestselling book of the year, having only been available for six weeks. It comes as no surprise that Amazon, which has made the book available in print and via its Kindle Store, has ranked the book in 8th position in its listing. It’s not easy putting together a list of the year’s best books, but we’ve held many meetings and votes, we’ve pored over the books and occasionally poured our hearts out to get you this final Top 100. For every book on the list, there has been an impassioned plea and an argument made–so don’t just look at the Top 10 or 20. There are great books all up and down the Top 100 list. 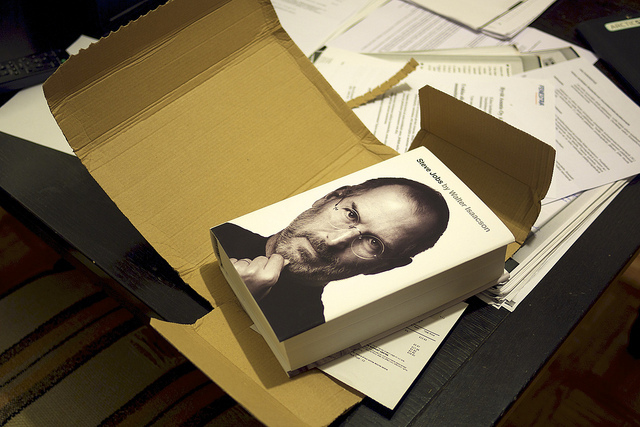 The book has helped provide a look into Steve Jobs’ life, exposing his strengths, weaknesses and deepest thoughts. Excerpts of the book have been covered widely by the media, including on The Next Web, to highlight some of the lesser known facts about Apple’s talismanic leader.